Photographer Colin O’Brien enjoyed a happy childhood growing up during the forties and fifties in Victoria Dwellings on the corner of the Clerkenwell Rd and the Farringdon Rd. 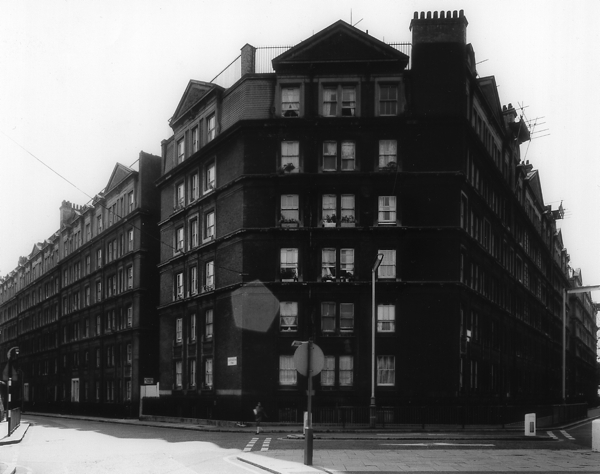 Yet the dilapidated nineteenth century tenement was considered a slum and whenever politicians came round canvassing for votes, Colin’s father Edward would ask them to build better homes for the residents. 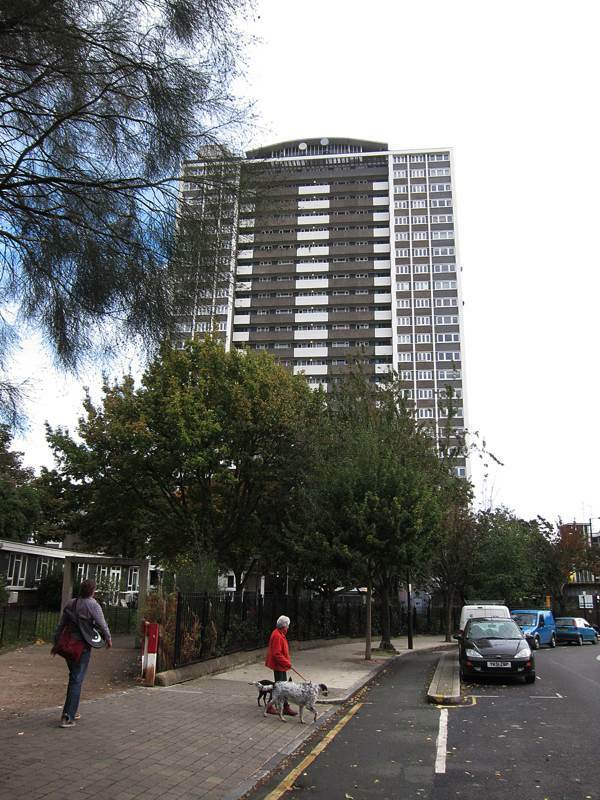 The promise was finally delivered by Finsbury Borough Council in 1965 when Colin’s parents were offered the pick of the flats in newly-built, Michael Cliffe House, just a quarter of a mile away on the other side of Clerkenwell. Modestly, Colin’s parents suggested choosing a flat halfway up the soaring modernist tower but Colin, who was now in his twenties, had other ideas and he persuaded them to take the very top flat, which offered the most spectacular panoramic views. 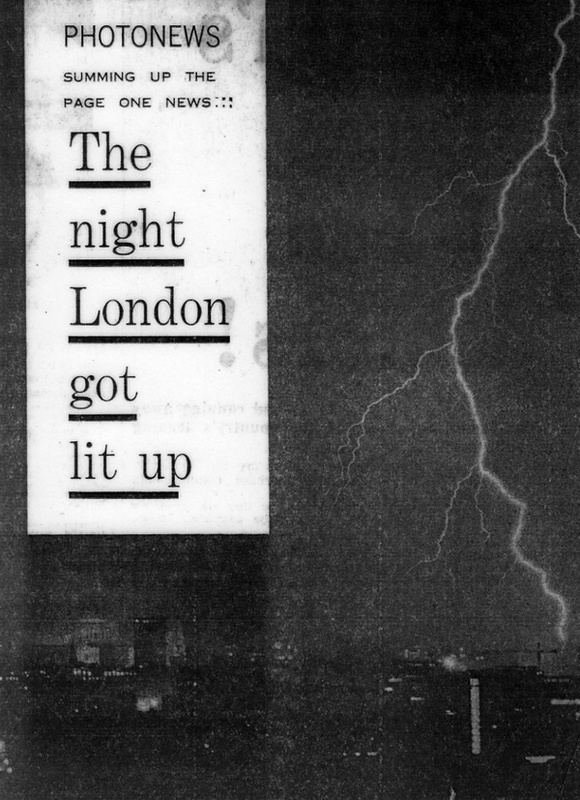 Instead, at Michael Cliffe House, Colin’s new source of inspiration was the heart-stopping spectacle of forked lightning over the City of London – a phenomenon that he was ideally placed to photograph from his favoured vantage point at cloud level in Clerkenwell. When he took his first photograph of lightning, Colin delivered his print in person to Fleet St the next morning to the offices of the Daily Express and sold the picture at once. 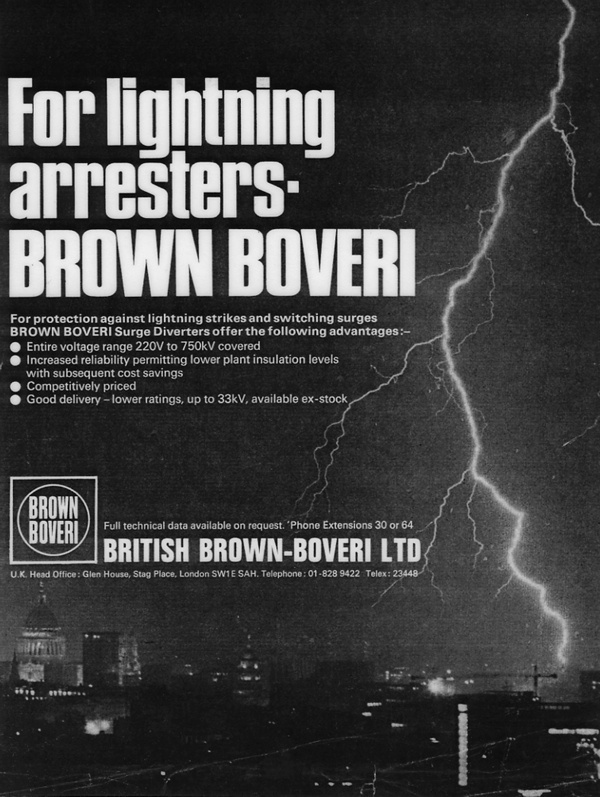 It was subsequently used in adverts by Brown-Boveri Ltd, a company that manufactured lightning conductors. And, the next year, Colin took another even more dramatic picture of lighting descending from the heavens towards St Paul’s and sold that one to the Evening Standard. 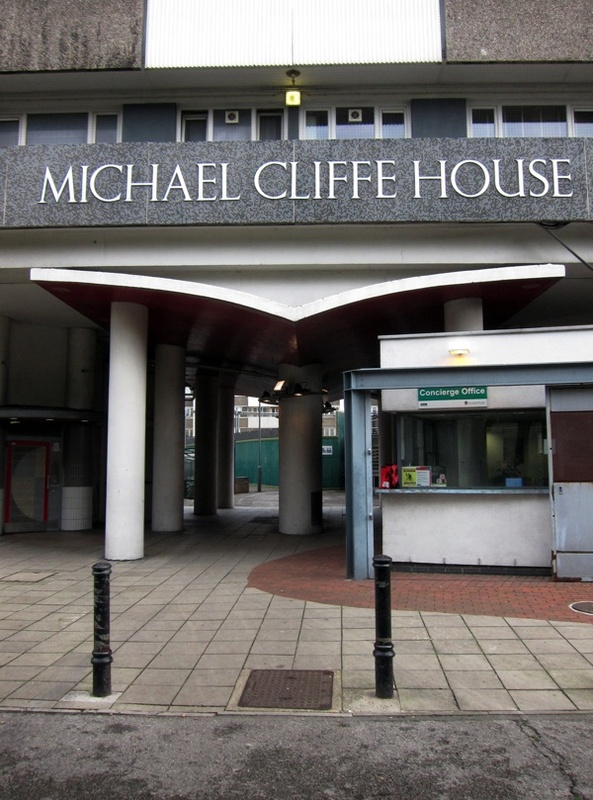 Michael Cliffe House was named in honour of the local Labour MP, an ex-Mayor of Finsbury , who had been Chairman of the Housing Committee and famously wrote to President Kennedy and Nikita Kruschev in 1961, at the peak of the Cold War, urging a moratorium on nuclear testing. One of the last high-rise developments in the borough, its towering structure expressed the optimism of its time, and Colin and his parents were delighted with their brand new home in the clouds. They had moved so far up in the world, they could now amuse themselves watching people tobogganing on Parliament Hill each winter. “I could look down on Northampton Buildings where I was born in 1940 and from where we moved to Victoria Dwellings, both of which I saw demolished once we moved into Michael Cliffe House.” Colin explained to me, as I stood with him on the balcony of his flat last week. From this lofty perch, Colin’s entire childhood landscape was visible even if he has now witnessed it change beyond all recognition. Yet this height also grants a liberating sense of perspective, confronting the viewer with the overwhelming wonder of the city. 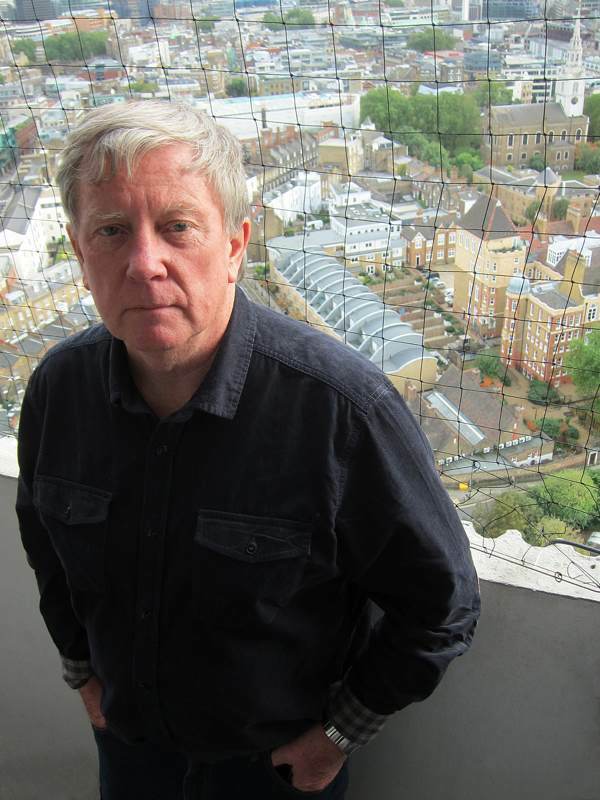 “There’s supposed to be no money and we’re in a recession, but look at all the cranes,” declared Colin with a bemused grin, gesturing to the new structures that punctuate the skyline, evidencing London’s continuing transformation. “My father lived here for ten years alone after my mother died, and I got really close to him,” confided Colin, as we returned inside to the shelter of the domestic space, “He was a nice hardworking man who worked twelve hours a day sorting letters at the Mount Pleasant Post Office. After he died, I found a diary that said, ‘We’re five shillings short on the rent this week, I don’t know what we’ll do.’” Once it became possible, Colin’s parents bought their beautiful flat in the sky and Colin keeps it now as a haven containing his memories of them and as a vantage point to keep an eye upon his home territory. Just one item of furniture survives in Colin’s flat from the Victoria Dwellings days, a small wooden table that was the only piece he ever made at school in woodwork class. Once upon a time, Colin brought it home proudly on the tube from Sir John Cass School in Aldgate to Victoria Dwellings in Farringdon. Yet, with its clean modern lines and unfussy design, it matches the aesthetic of the new flat better than it could ever have suited Victoria Dwellings. Colin O’Brien’s table is at home in Michael Cliffe House. The view from Colin O’Brien’s flat looking towards the City of London. 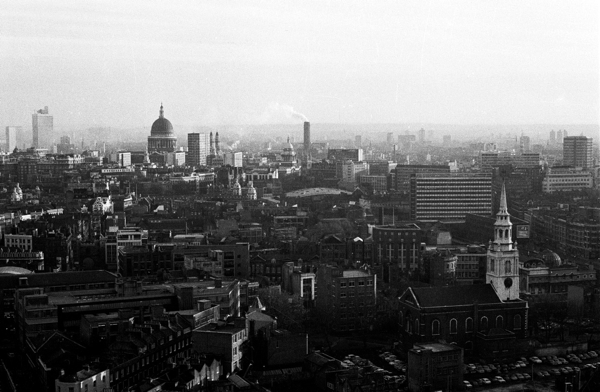 In the sixties, when the Tate Modern building was still operating as a power station. 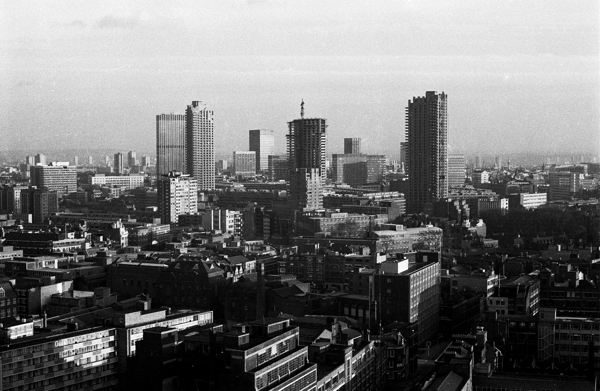 The building of the Barbican towers in the seventies. Michael Cliffe House today – Colin’s flat is the top one on the right. 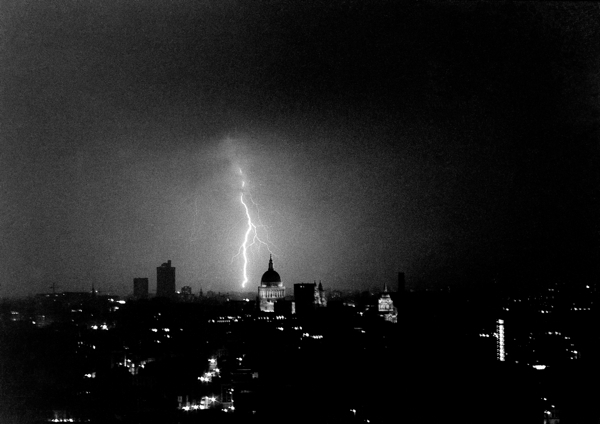 Colin’s photograph of lightning over St Paul’s taken from the flat in 1971. As published in the Daily Express next day. As used in an advert for lightning conductors. 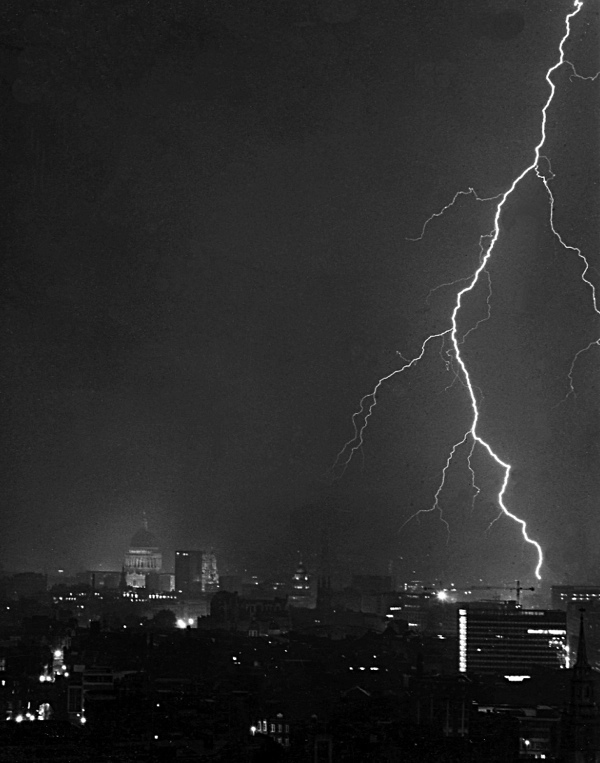 Colin’s second, even more spectacular, photograph of lightning over St Paul’s from 1972. As published in the Evening Standard next day. Northampton Buildings in Clerkenwell where Colin was born. Looking down in Northampton Dwellings from Michael Cliffe House. 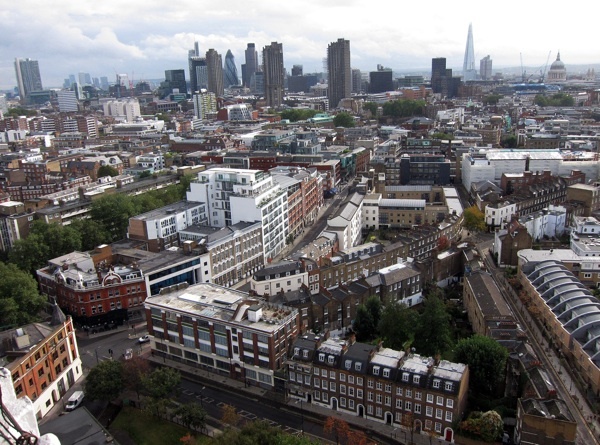 Colin’s childhood flat was the top window on the far right of Victoria Dwellings in the Clerkenwell Rd. 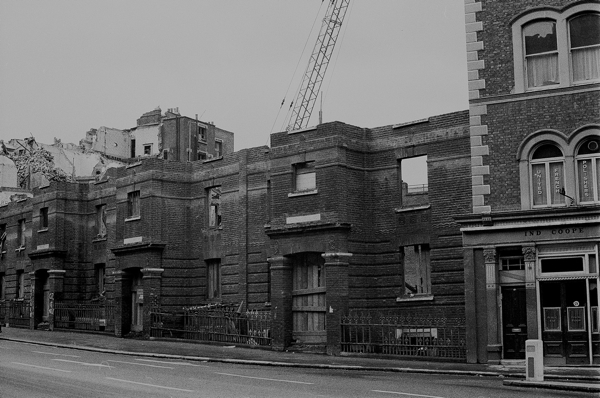 Victoria Dwellings were demolished in the seventies. 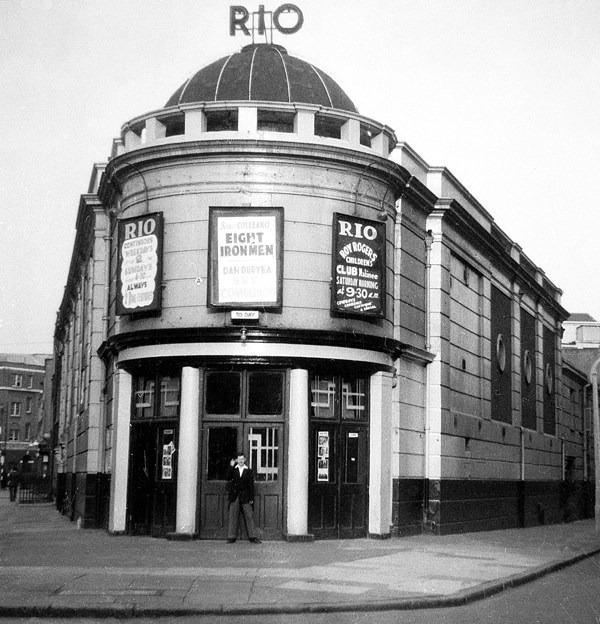 The Rio Cinema where Colin used to sneak in to watch films as a child. The site of the Rio Cinema today, with Michael Cliffe House in the background, photographed by Sam Nightingale. 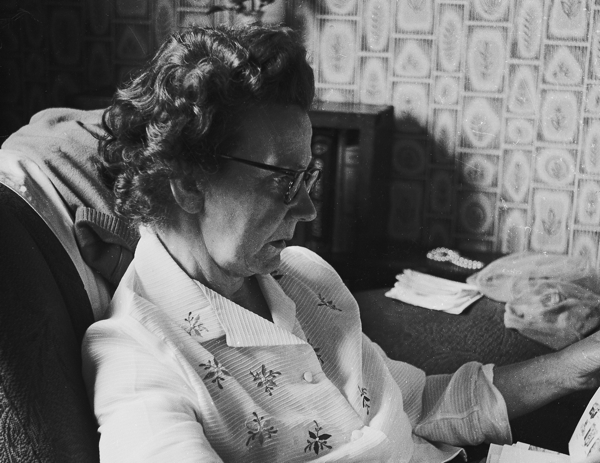 Colin’s mother Edith relaxes in the new flat at Michael Cliffe House. 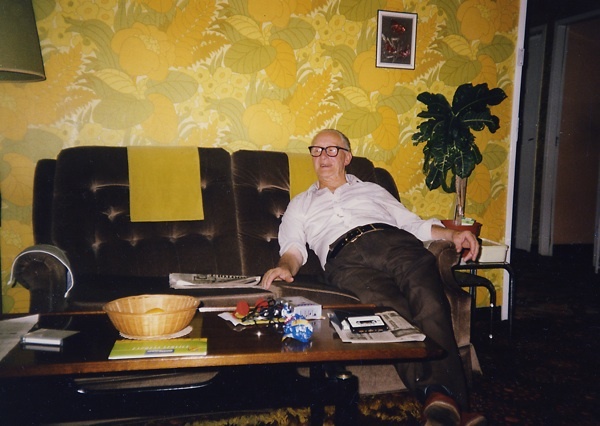 Colin’s father Edward in the lounge of the flat in Michael Cliffe House. 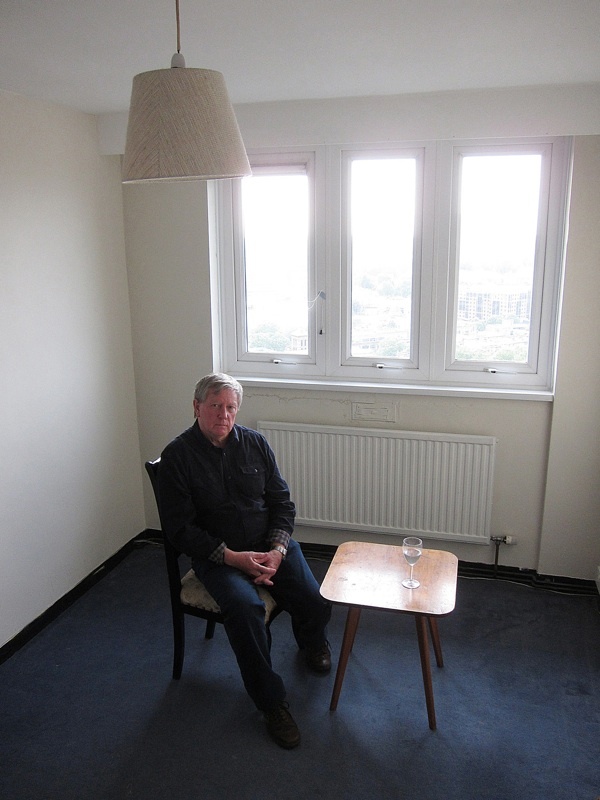 Colin O’Brien sits in his room in Michael Cliffe House that he moved into in 1965, with the table he made in woodwork classes at Sir John Cass School – the only piece of furniture left from the previous flat in Victoria Dwellings. Another magnificent journey! Thank you for inviting us in, Colin. Continuity – a thread to the past & future …. If we have a whip round, we could get Colin another chair… Thank heavens he made a table… I’m making the assumtion that this is a spare (Empty) room in the flat? 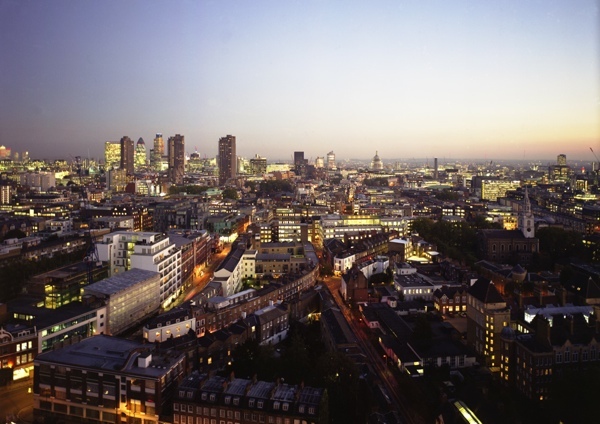 What a view over the city… It must be magical at night…. I had an aunt who lived at 155 Michael Cliffe House (that was about the 16th floor, I think) Yes, great views from there. 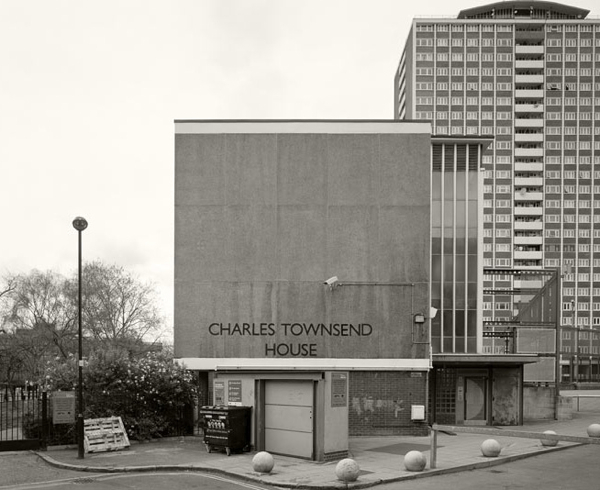 I’d love to see more of Colin’s wonderful pictures of Clerkenwell and Finsbury. Moving and exhilarating at the same time. What a coincidence that the flats you have lived in are on the top right of the building, on a corner, in both cases. Really enjoyed the Carters pictures too, did you do any of the Wall of Death? Or the woman who conducts electricity? Thank you again for the travellers photographs, I met you at the launch of the book. My husband I have just started tracing his family tree which brought us to this fantastic website with great pictures. My father in law was born at 361 Northampton Buildings in December 1914. Can anyone point us in any direction which may give more pictures of this now demolished building. 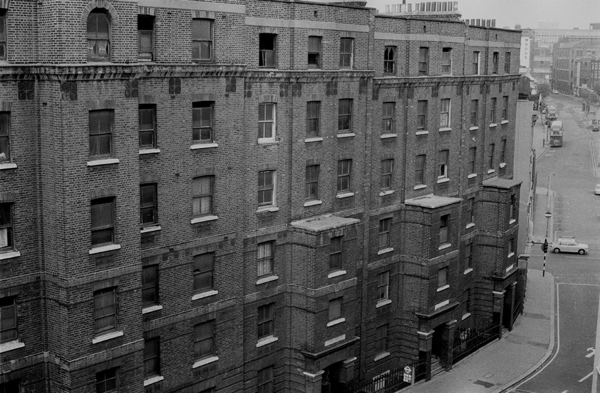 Or, and I know this is a long shot, does anyone have any idea where in the building this flat was and can it be seen on the above photo. Colin’s pictures and memories are really worth seeing. Are there any of his pictures available for sale, or books which specifically show this area as it was then and now. 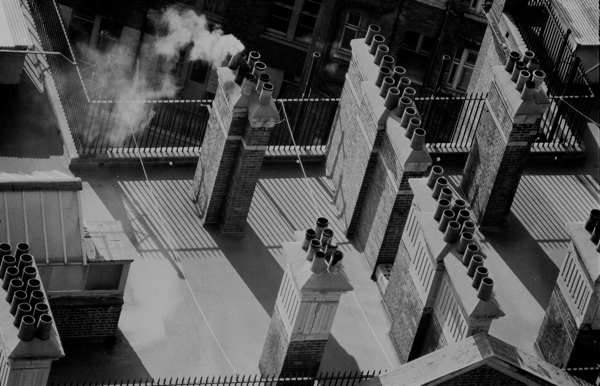 We are having a trip to London (from the north) early March and are hoping to investigate the area.